You’ve probably heard the term before without fully comprehending it, Just what is visual merchandising? How it can benefit your business? And what kinds of visual merchandising tips will be useful for someone running an online store? Visual merchandising is the way traditional retail stores attract shoppers and display their products. Visual merchandisers craft the look and atmosphere of brick-and-mortar stores using the store’s layout, merchandise displays, lighting, music, smells, signage and other interior decorating elements. Retailers invest a lot of time and resources in visual merchandising in order to give their stores a certain look and feel, hoping to provide customers with an enjoyable shopping experience. From elaborate Christmas window displays to perfectly-outfitted mannequins, these businesses rely on visual merchandising to communicate their brand, highlight top products and inspire customers to buy them. How can visual merchandising help an online business? 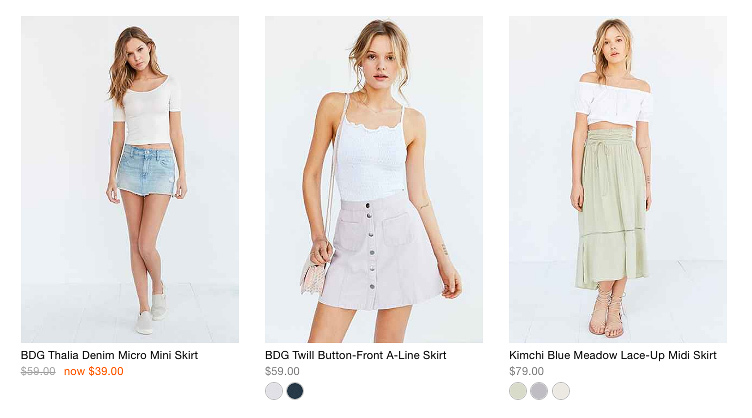 You may be thinking, I run an e-commerce site, what is visual merchandising going to do for me? Visual merchandising combines branding and product marketing to design a visual experience for customers while they are shopping. The impact of visual merchandising isn’t limited to the shopping mall. 92% of online shoppers report that visuals are the most influential factor when they are deciding to buy a product. Visual merchandising is a tried-and-true marketing tradition of retail. Even if your store is virtual, you can still make it work for you. In this article, we’ll give you some useful visual merchandising tips to use in your online e-commerce store. Visual merchandisers use graphic design, color theory, psychology, and marketing to craft appealing and expressive store displays. All of these principles can also be applied to visual merchandising in digital stores. Ultimately, however, the most important tool for e-commerce visual merchandisers is simple: a good camera. Photography is the biggest element of digital visual merchandising — 75% of shoppers say image quality is the most important feature of online shopping. You can’t ignore such a huge percentage of shoppers. Your first step as a new visual merchandiser is to invest in high-quality images for your e-commerce store. That means hiring a professional photographer or, if you’re going the DIY route, purchasing a digital camera and reading up on aperture and manual focus. It’s a worthwhile investment; strong and high-quality product images are proven to increase sales. With photographs in hand, it’s time to explore the different options for visual merchandising that will attract shoppers to your online store. Group seasonal or themed products together in your e-commerce store. 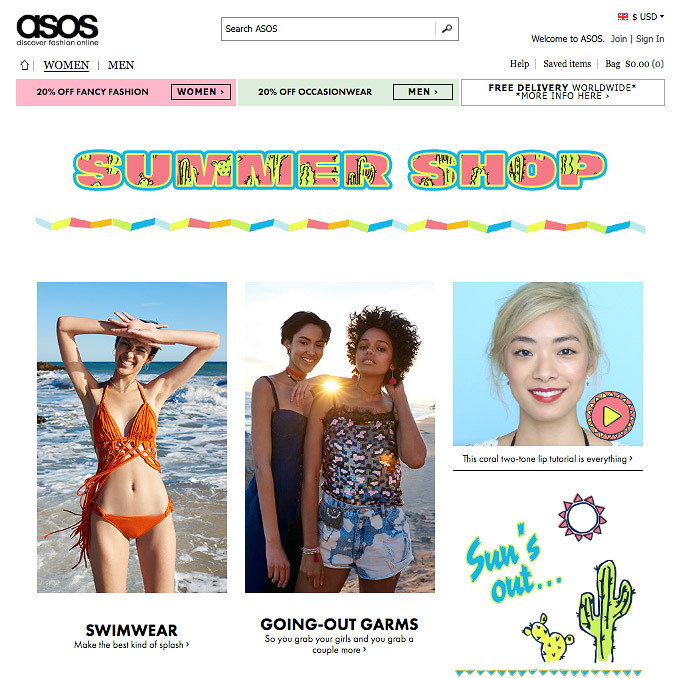 Go the extra mile with a fun design and name, like fashion retailer ASOS and their Summer Shop feature. E-commerce stores have some visual merchandising advantages over traditional retail stores, too. One of the most important of these is that you can display your products in real-life context, being used — not just in the store or the packaging. Photographing your products in everyday use appeals to online buyers who want to envision products in the real world. 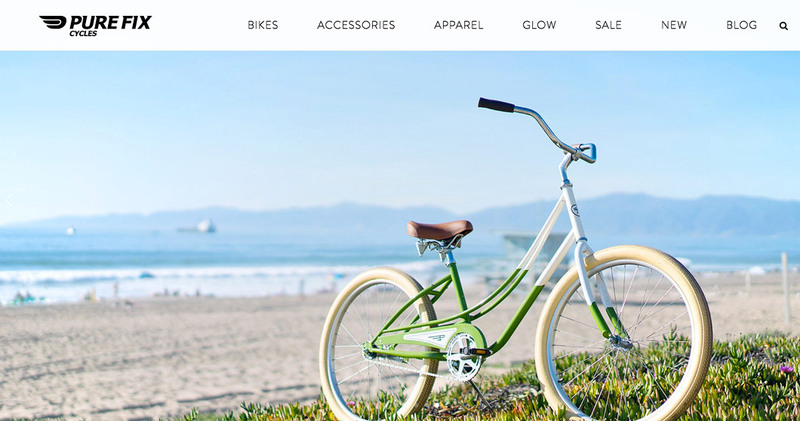 Online bike retailer Pure Fix Cycles shows how to photograph your products in action. Photography can make or break your visual merchandising. There are a few key things to remember when photographing products for your e-commerce store. Even if you choose to hire a photographer for your visual merchandising, it’s important to be able to make decisions about what images are the best to use for your store. 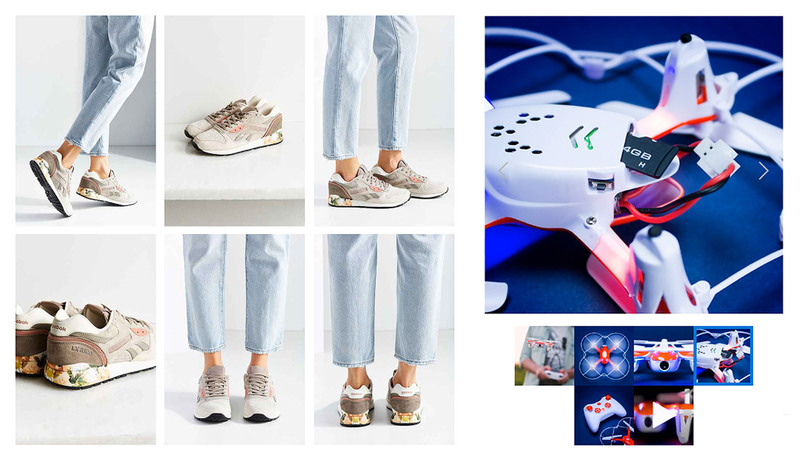 Read up on basic principles of photography, what makes a great product image and tips for improving your product photos. Find a photography style that works for your brand and stick with it. Keep your compositions and styling simple to draw the shopper’s eye to the product. Using models provides shoppers with a sense of scale and tangibility for products. Urban Outfitters demonstrates how to highlight your products by keeping photos clean and consistent. Remember to provide different angles and detail shots. Think of photos as an illustration of the product description: show your customers all the features you describe. Urban Outfitters, at left, photographed different angles of these sneakers, drawing attention to the details on the back sole. Just because your photography should be consistent doesn’t mean you have to be boring. Once you’ve got the basics of your visual merchandising photos down, mix it up by testing out different angles, lighting styles and compositions. 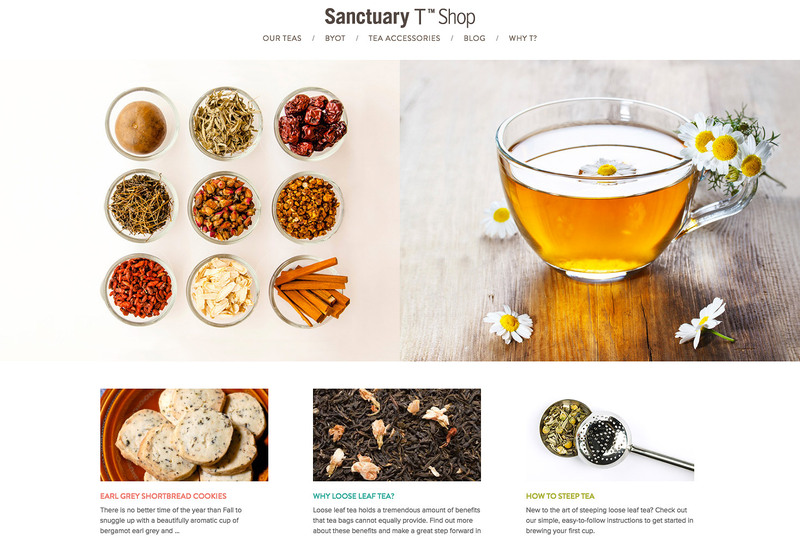 Eye-catching photos are perfect for a landing page, like on Sanctuary T Shop’s website. 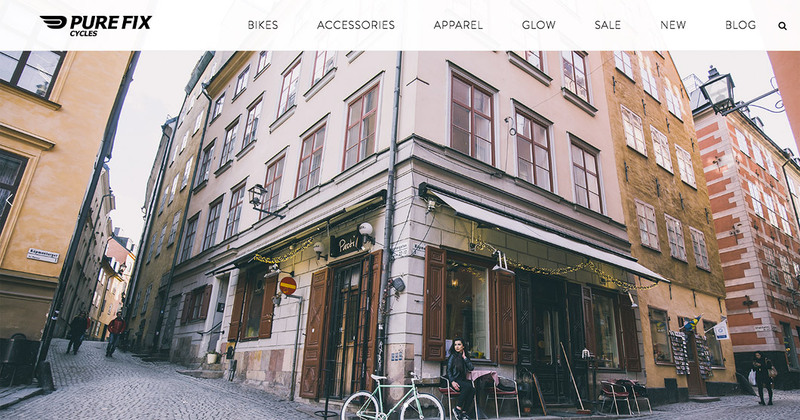 Visual merchandising doesn’t end with your website. Build up a stock of dynamic product images to have on hand for social media marketing, too. Remember to capture a variety of compositions — think horizontal for a Facebook cover photo, square for Instagram and vertical for Pinterest. Visual merchandising, like branding, should be present everywhere your business is. Again, consistency is critical: social media pages for your business should use the same photographs, fonts, color scheme and visual style as the website or store. Trust us — investing in photography for visual merchandising will pay off in spades when you take it to social media. Images are the key to social media success: visual posts on Twitter get 94% more views and are 40x more likely to be shared than non-visual posts. Social media also provides different, dynamic opportunities for visual merchandising. Thanks to video, music, comments and other ways of engaging audiences, social media has become a great place to craft a unique customer experience through visual merchandising. Social media is becoming more important to shopper discovery, so think of social media as the storefront and ad campaigns of a traditional retailer. With visual merchandising, content you share on social media can give customers an alluring taste of your products and the experience your e-commerce store provides. 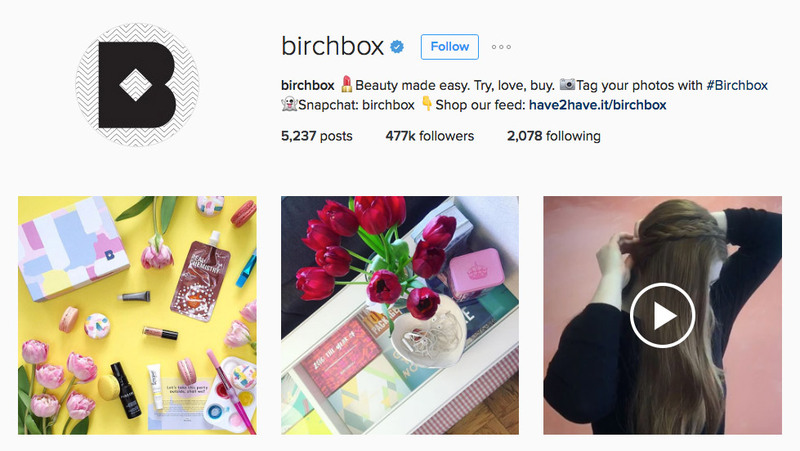 Instead of posting simple product images, makeup company Birchbox makes use of dynamic visual merchandising on Instagram, sharing tutorial videos, themed product collections and images that reinforce the Birchbox brand.